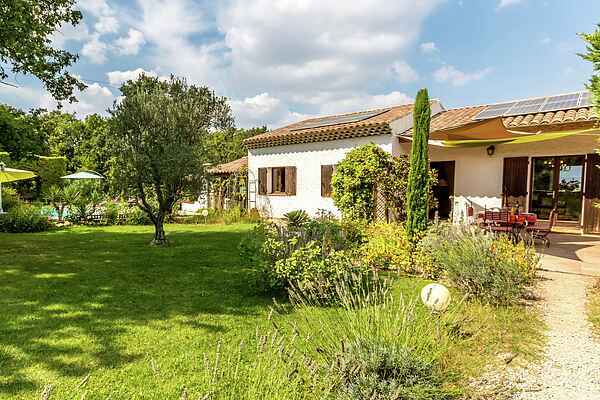 You will stay in a pleasant, comfortable house in Meyrargues with a delightful spacious garden. On one side of the house is a beautiful billiards room, but take care that during the game you are not distracted by the beautiful view of the Lubéron mountains and the view of the children playing in the garden. The interior is clean and well cared for, very special are the pétanque court and a lovely private pool. with the sun terrace all around with sun beds and a stone BBQ . Although you can hear the road, you'll enjoy the nice, cozy grass garden with lots of trees that create the necessary shady spots. Meyrargues is located close to the beautiful, rugged, mountainous area of Lubéron, the city of Aix-en-Provence, and other interesting towns and villages. Immediately from the house, you can take a nice walk to the Castle of Meyrargues. Peyrolles - the swimming lake - is located 5 km away and has various water sports such as surfing, sailing, canoeing and pedal boats. Golf course in Pont Royale (23 km).